Sofa & Carpet Cleaning in Devon - Quality Cleaning at the Right Price. 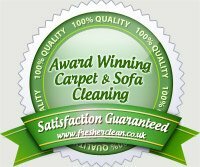 Carpet & Sofa Cleaning – Covering all of Devon. The complete solution to all your cleaning problems in Devon. We are a family run business offering upholstery & carpet cleaning in Devon. Over 20 years of experience allows us to give you the best competitive prices whilst still maintaining our quality standards. All work is carried out by the owners, our customers know they can trust us every time to look after their home. Phone us today to get your home back to looking clean & fresh again. We tailor our cleaning service to meet your needs. Whether you require a carpet cleaner for a large restaurant or a lounge carpet, our exceptional level of customer service and attention to detail remains the same. Using the latest cleaning solutions and machines we are able to cover every type of cleaning job within your home and always make sure that we use the right system for the problem. We also stock a unique range of after-care products and services which you can purchase to keep your home looking clean, simply ask us for details. Testimonials for Carpet & Upholstery Cleaning Devon. An excellent job, carpets were in need of really good clean. Surpised at the results as they came up like new. Fast and efficient service, not the cheapest but certainly the best we have used. Really good to deal with. Will definitely recommend to friends and family. I had 2 sofas cleaned and was very pleased with the results. The service was excellent, courteous & professional. I would have no hesitation in recommending them again. Work was carried out in a professional manner. They were punctual and polite and did a super job. This is the second time we have used their cleaning services and will use again in future. We had our sofa cleaned and the carpet, they managed to get rid of the stains and blue marks from from our jeans. Carpet came up great as well. Good job all round. Would not hesitate to recommend them to anyone, it was similar to having new carpets. Clean smell and carpets really made things fresh again. A previous company we used could not remove a ink stain which has been annoying us for ages, these guys managed to get it out thankfully. We offer a full range of domestic and commercial cleaning services also including rug & curtain cleaning.